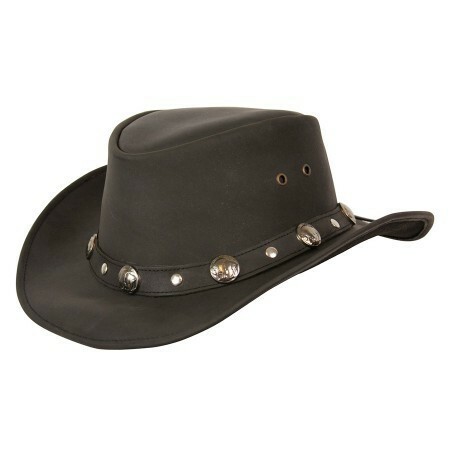 The Buffalo nickel hat is made with leather that has been treated with waxes and oils to help repel the rain. Shapeable wire brim. Features Buffalo nickel coins around the band.